Assume for a moment that you’re a company in Cleveland, Columbus, or Detroit that is in the process of relocating, and you’re in need of an office furniture liquidation service. You’ve done some research, googled a bit, and somehow arrived at Integrity Wholesale Furniture’s website. You read through our blogs about the benefits of used office furniture liquidation, and possibly one of the many very positive reviews about our liquidation services. After making some calls and reading more, you realize that you’ve found the right company to perform your office furniture liquidation. Now that you’ve figured out how to solve the challenge of getting rid of your old furniture, you need to find how to best furnish your new office. Fortunately, Integrity Wholesale can still be of some use to you. We are a top dealer of pre-owned and refurbished furniture like used cubicles, executive desk sets, workstations, office seating, and even more… all at tremendous savings, sometimes up to 70%! Our business process is simple and streamlined. You start with a conversation with one of our seasoned sales executives. We will determine what your office furniture needs are, and work with your very own floor plan so that you can get exactly what you need. Our design staff has exceptional experience with planning out the most efficient and functional layout, and can take into requests you have as well. 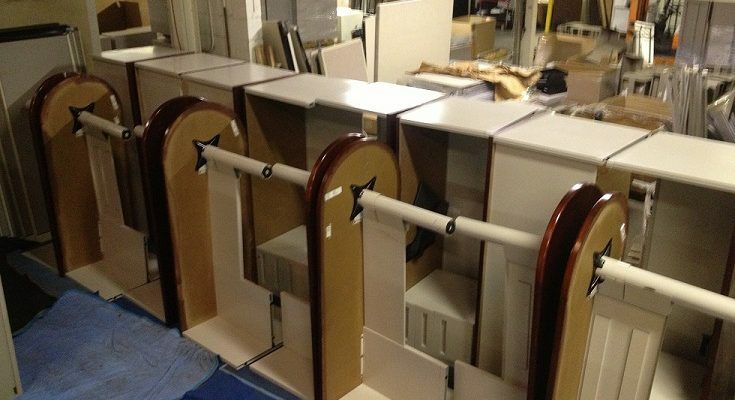 Our project management team will make sure the delivery and installation of your furniture goes through without a hitch. We will work closely with you to determine the date and time of the installation, as well as making sure that any unforeseen circumstances that happen throughout the entire process are taken care of quickly and smoothly. Even if your company is experiencing so much growth that it’s opening up an office on the other side of the country, we’ve got you covered. We operate nationwide, so your national growth can enjoy the same level of expertise regardless of where you do business. We can mimic the look of your existing offices, or develop it with a regional look and feel that is representative of your existing location. We strive to be an easy, one-stop solution for all of your office furniture needs, regardless of the size of your business, across the US. Integrity Wholesale is a company that looks forward to making your business operations easy when it comes to investing in pre-owned office furniture solutions for your office in Cleveland, Ohio. No Comments on "Get the most of your office furniture move in Cleveland, Ohio."